The Market isn’t until Saturday, but the bread making begins on Thursday. 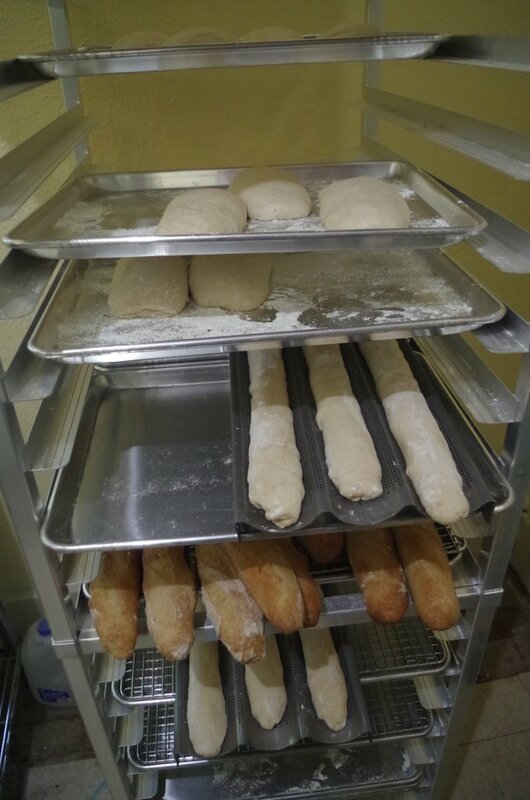 To get the light, fluffy texture in the baguettes and the best flavor, the dough spends a lot of time developing. Bill makes a small amount of dough on Thursday, which is called the “preferment.” On Friday morning, more flour is added, then I do lots of stretching and folding throughout the day to help chewy gluten develop. In the evening, Bill has a complicated choreography of shaping, resting, and reshaping before the bread is cooked. The dance continues during cooking with precise timing and the addition of steam, to help create the perfect crust. 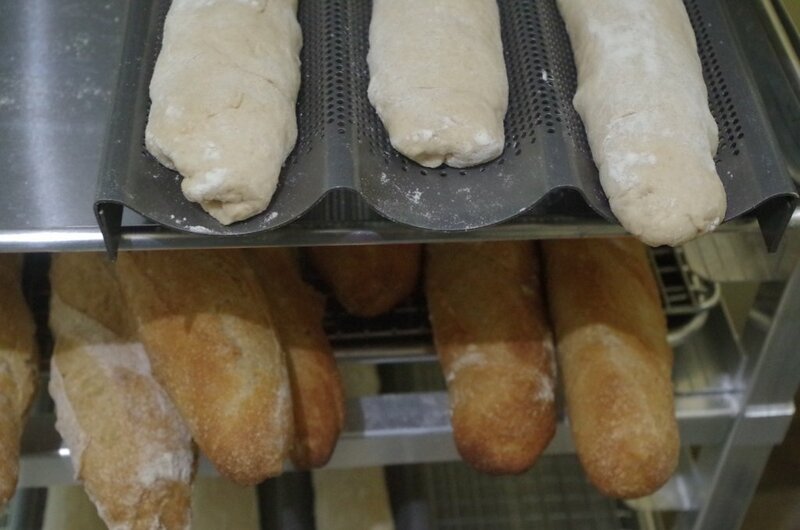 We think all the work and attention makes a fantastic baguette! Repeat customers seemed to agree, with multiple bread-lovers saying the devoured an entire baguette in one sitting. (No judgment here! We do it all the time!) Baguettes will be available at the Zionsville Farmers’ Market this week! Oh my–wish we lived closer!!! That bread looks SO GOOD!